Learn more about Wanaka Airport, New Zealand, one of the busiest, most diverse-use airspaces around. In this video, Ralph Fegan, Wanaka Airport Operations Manager, talks about the different activities at the airport and what NASA’s Super Pressure Balloon project has brought to the area. Multiple areas of low pressure with associated precipitation and unfavorable winds have settled in over New Zealand preventing NASA from attempting a super pressure balloon launch from Wanaka over the next several days. Since declaring flight readiness March 25, NASA has conducted three launch attempts for its super pressure balloon. The first of the three back-to-back attempts began April 8 (New Zealand time zone), ending early due to uncertainty with the balloon trajectory given forecast stratospheric wind conditions at 33.5 km (110,000 feet), the balloon’s planned float altitude. The second attempt, April 9, also ended early due to mechanical issues with NASA’s launch vehicle crane—issues that have since been resolved. The third attempt progressed into the early morning hours of April 10 ending when surface and low-level winds failed to set up as required for launch. NASA postponed the third launch attempt of its super pressure balloon (SPB) from Wanaka, New Zealand, at 4:30 a.m. Monday, April 10 (New Zealand time) due to poor weather at ground and surface levels. Wind speeds were just slightly above those required for launch, and with the uncertainty for precipitation in the area, the team made the decision to postpone for the day. NASA is targeting Monday, April 10 (Sunday, April 9 in Eastern Time), to conduct a super pressure balloon (SPB) test flight launching from Wanaka Airport, New Zealand, on a potential 100-day journey. NASA will begin flight preparations in the early morning hours Monday and will continue to evaluate real-time and forecast weather conditions throughout the morning. If weather is conducive for launch, lift-off is scheduled between 8 and 11:30 a.m. locally (between 4 and 7:30 p.m. EDT Sunday, April 9). At this time, weather conditions are considered marginal for launch. This is the third scheduled launch attempt for NASA’s 2017 Wanaka Balloon Campaign. 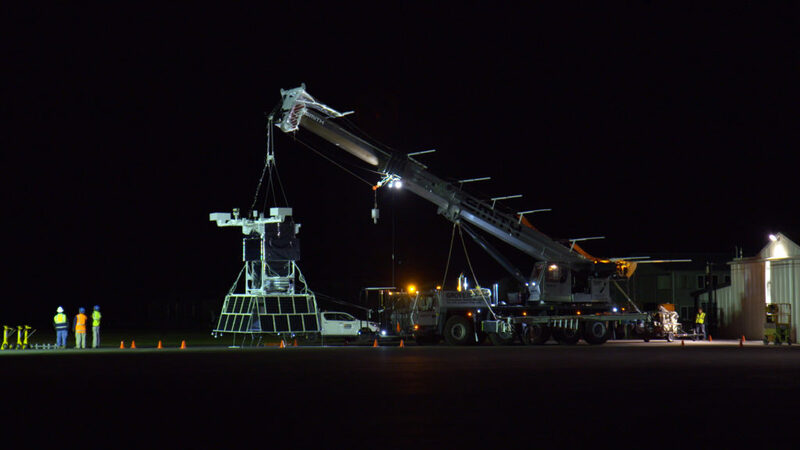 The first attempt was canceled due to unacceptable stratospheric wind conditions; the second attempt was canceled due to a mechanical issue with a crane used for launch operations, which has since been resolved. This graphic shows stratospheric wind speed and direction at 33.5 km (110,000 feet), which is the operational altitude of NASA’s Super Pressure Balloon. The eddy pattern to the west of New Zealand led to an unacceptable trajectory forecast to make a launch attempt Saturday, April 8 (New Zealand time zone). NASA postponed the scheduled launch of its super pressure balloon (SPB) from Wanaka, New Zealand, at 2 a.m. Saturday, April 8 (New Zealand time) due to unacceptable stratospheric weather conditions for operations. Along with monitoring ground and lower-level winds (up to 300 meters) on launch day, stratospheric wind conditions at 33.5 km (110,000 feet), which is where the balloon will float, also need to be set-up favorably to support a launch attempt. While ground and lower-level winds were conducive for launch, winds in the stratosphere were not. 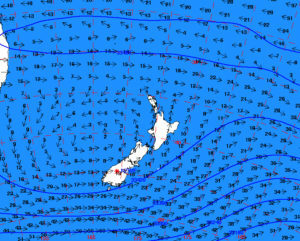 A counter-clockwise flowing eddy has developed to the west of New Zealand’s North Island. Forecast models had the balloon launching from Wanaka and then traveling north bisecting the South Island before eventually getting caught up in the light and variable winds of the eddy. Ideally, an eastward trajectory after lift-off is preferred, though not necessarily required. NASA will announce by 2 p.m. Saturday, April 8, whether or not Sunday’s weather will support a launch attempt. 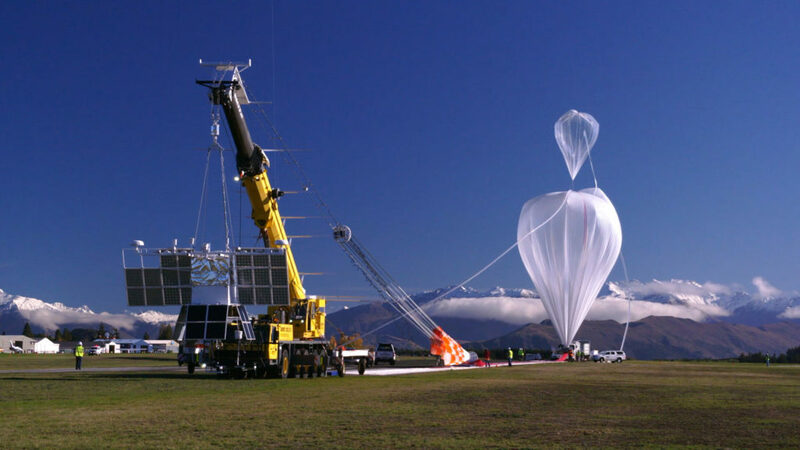 NASA is targeting Saturday, April 8 (Friday, April 7 in Eastern Time), to conduct a super pressure balloon (SPB) test flight launching from Wanaka Airport, New Zealand, on a potential 100-day journey. NASA will begin flight preparations in the early morning hours Saturday and will continue to evaluate real-time and forecast weather conditions throughout the morning. If weather is conducive for launch, lift-off is scheduled between 8 and 11:30 a.m. locally (between 4 and 7:30 p.m. EDT Friday, April 7). 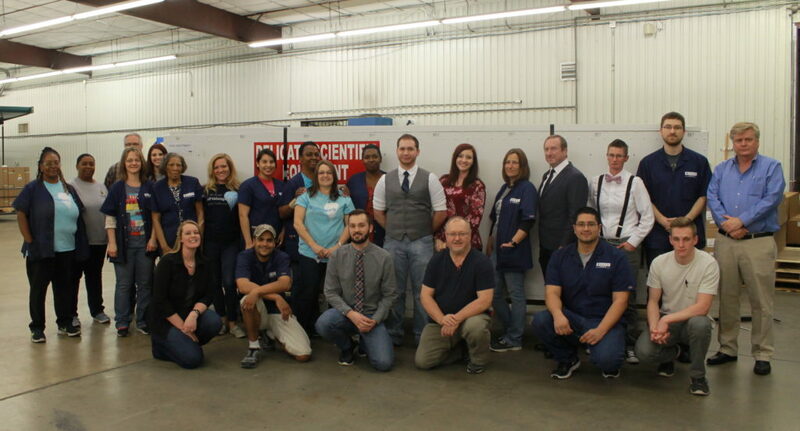 Balloon fabricators at Raven Aerostar’s Sulphur Springs, Texas, manufacturing facility reposition balloon material during super pressure balloon construction. As the latest super pressure balloon (SPB) prepares to lift off from New Zealand, carrying the Extreme Universe Space Observatory-SPB (EUSO-SPB) payload, one may reflect back on how this balloon, the 6th iteration in the current model of long duration balloons, came to be and what goes into its construction — acres and acres of plastic film, miles of load-bearing strength members, platforms for electronics, and suspension points for payloads, to name a few. The raw materials and design are only part of it. A balloon of this size cannot simply ‘walk into Mordor,’ i.e. construction is a difficult task that involves hundreds of film segments. It requires a “seal team”—a primary team of six assemblers from Raven Aerostar, NASA’s balloon partner, to shape multiple segments of film into a vehicle that will function at a near constant 33 km altitude, well into the stratosphere, over long durations of day and night cycles. 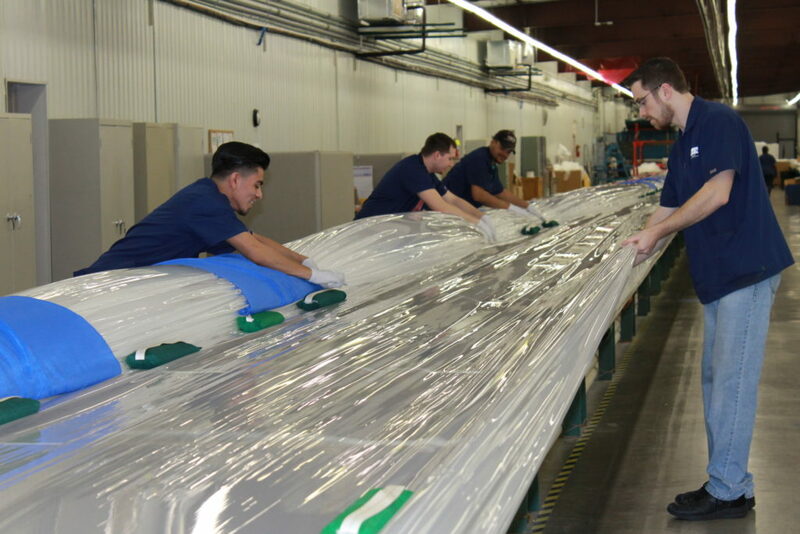 Two Raven Aerostar assemblers are dedicated to operating the equipment necessary for heat-sealing each of the hundreds of segments together, integrally combing these segments with strength bearing components as they walk along, producing miles and miles of seals. A third assembler supports the first two, ensuring a first-class quality heat seal has been made. Two more assemblers man the top and bottom of each balloon segment, dispensing materials and optimally positioning items prior to heat seal creation. The final member is responsible for sorting and arranging the massive heaps of balloon material that accumulates during the course of construction. Balloon creation is truly a team effort, with each of these six members performing numerous tasks, filling in the gaps in an intricate dance of sorts while each balloon segment is created. The Raven Aerostar Super Pressure Balloon Team. Every great team has a supporting cast as well, and this is no different. Other Raven Aerostar members are responsible for fabricating and conditioning the balloon strength members, ensuring quality film goes into the balloon and providing direction on balloon design. All of this is done in conjunction with the broader NASA and Columbia Scientific Balloon Facility (CSBF) team, ensuring that what is constructed at Raven Aerostar has the best chance of meeting performance and operational requirements for each test flight.